Situated in the mountains, this resort is 0.1 mi (0.2 km) from Dahilayan Adventure Park and 13.6 mi (21.8 km) from Del Monte Golf Course. Clean place friendly staff. Close to malls and restaurants. Where to find Talakag hotels near an airport? 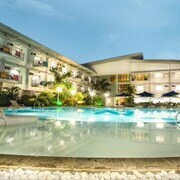 Where can I find hotels in Talakag that are near tourist attractions? The Expedia hotel booking database features a single hotel located in 0.1 kilometres (0.06 miles) of Talakag. 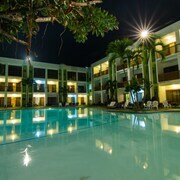 Approximately 150 kilometres (92 miles) away from Talakag is Davao, which has a range of places to stay, such as the Marco Polo Davao and Apo View Hotel. 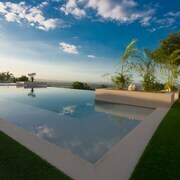 Like to go a little further afield? Mindanao offers a number of attractions. Mindanao has rural landscapes and beaches. Commonly visited Mindanao tourist sites include traditional villages. In this region of Philippines visitors may also partake in mountain climbing. Cagayan de Oro is 45 kilometres (28 miles) to the north of Talakag and is home to the St Augustine Cathedral and Museo de Oro. 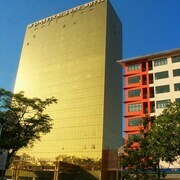 Should you wish to stay in Cagayan de Oro, be sure to check out the Seda Centrio and Uptown Condotel. 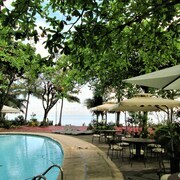 95 kilometres (59 miles) to the west of Talakag, you'll find Ozamiz, home to the GV Hotel Ozamiz and Royal Garden Hotel. The Ozamiz City Public Market and Prospera Park are a couple of the most popular sites to experience when you're in Ozamiz. If watching sport is a favourite pastime, be sure to visit Don Gregorio Pelaez Sports Complex, which is 45 kilometres (29 miles) to the north of Talakag. For visitors who are interested in booking accommodation nearby, make a reservation in the Red Planet Cagayan De Oro or Pryce Plaza. Lumbia Airport is a convenient airport, and is 40 kilometres (25 miles) from Talakag. 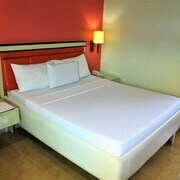 Conveniently located hotels are Koresco Hotel and Stonestown Suites. 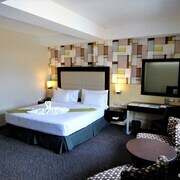 What are the most popular Talakag hotels? Are there hotels in other cities near Talakag? What other types of accommodations are available in Talakag? Explore Talakag with Expedia.ca’s Travel Guides to find the best flights, cars, holiday packages and more!